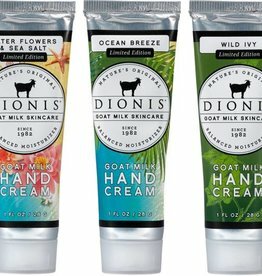 Our intensive Hand Repair instantly soothes and moisturizes dry, chapped hands. It is enriched with shea butter, chamomile extract, and essential oils. Indulge yourself with the awakening fragrance. This luxurious whipped body lotion enriched with shea butter and essential oils dispenses just like whipped cream. It will leave your skin silky smooth and beautifully scented. Paraben-free. 6 oz.